STK Networks has established a simple 4-step process that will help to identify the needs of each client, design and implement a custom telecom solution, and then monitor the account as a means of fine-tuning the services provided. This process helps us to ensure that each client gets the best possible products and services available. 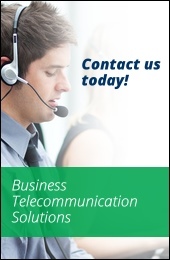 It also helps us to give our clients complete control over account to guarantee optimum telecom expense management. The first step in the process is to identify the needs and requirements of each client through discussions with our project management team and a thorough analysis of the current telecom infrastructure. At this time we would also discuss telecom billing options with the client for better management of telecom expenses in the future. The second step is the most creative stage of the process. The client’s dedicated project management team and engineers will begin to develop a custom telecom solution that will address all of the client’s needs and requirements. The third step usually begins somewhere between 4-6 weeks after the initial operational data comes into the application. At this stage, the new products and services can be implemented, tested and monitored. The fourth and final step involves processing the received data, confirming the effectiveness of the new products and services within the client’s operation and making any changes and upgrades as necessary to ensure complete accuracy of telecom expense management. STK Networks strives to create more than just another telecom billing solution, we want to give our clients complete control over every level of telecom expense management possible. Our management solutions provide the means to monitor and manage accounts every step of the way from initial contract negotiation and sourcing all the way to usage management, auditing and invoice processing. These tools help our clients to cut telecom expenses, automate many essential processes and improve service order management. It can be hard for businesses to effectively assess their telecom services due to varying billing formats, unconsolidated usage data and multiple carriers, but STK Networks has developed a streamlined approach that helps to improve telecom expense management. Our years of industry experience, professional staff and solid technology solutions help to overcome issues continue to plague many other service carriers. The electronic billing data that we are able to provide to our clients is a direct result of our highly developed, streamlined and integrated telecom solutions.